Labor Day is the unofficial last weekend of the summer as the sun sets on a memory-filled season of fun in the sun in Destin Florida. How are you going to celebrate? There’s no better way to celebrate Labor Day in Destin Florida than on the water. For some fun in the sun, ‘venture’ over to the Destin Harbor. The 45-foot sporty SunVenture catamaran cruises from the emerald green waters of the Destin Harbor for dolphin sunset cruises, Crab Island excursions and private cruises. 1. Crab Island – If you’ve never been to Crab Island, you’re missing out on the Labor Day party of the year on the water. Our captains will drive you out to the shallow sandbar at the Destin bridge so you can enjoy a safe and worry-free day of playing and relaxing in the shallow waters. Join us for our Labor Day Crab Island excursions on Sat, 8/30 or Sun, 8/31. 2. Fireworks Harbor Cruise – For one of the most memorable things to do in Destin, venture aboard the SunVenture for a 1-hour narrated cruise that explores the beautiful Destin Harbor and ends with a BANG! Experience a magical night as the harbor illuminates with a spectacular Destin fireworks show. 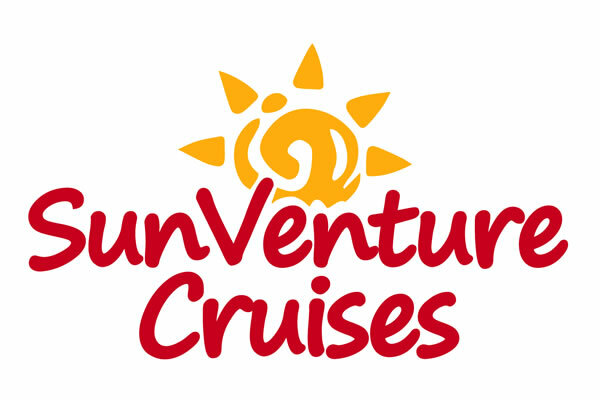 The SunVenture will also be cruising through the Harbor on Sun, 8/31 for a Labor Day Fireworks Show at 8:30 pm. 3. Dinner, Sunset & Fireworks Cruise – It doesn’t get much better than indulging in fresh local seafood while cruising into the sunset on the beautiful local waters. The 125′ SOLARIS yacht is cruising Wednesday through Sunday of Labor Day weekend with nightly dinner and sunset cruises. The fine dining menu is prepared on board by our executive chefs, featuring everything from steaks and seafood to special appetizers such as Wahoo Ceviche Luge Gazpacho Shooters and a Trio of Seafood Ceviche. The value is incredible considering a 3-course meal, sunset cruise and live entertainment while you dance under the stars and on the water. If you really want to go all out, join the SOLARIS on our sunset & dinner cruises on Thursday, 8/28 or Sunday, 8/31. You’ll end your night with a bang with the best seat in the house for the Sandestin Fireworks show. This is an even more incredible value as there is no additional charge for the Fireworks & Dinner cruise.